BLR - capacity reduced from a daily B 744 to daily B 772ER. 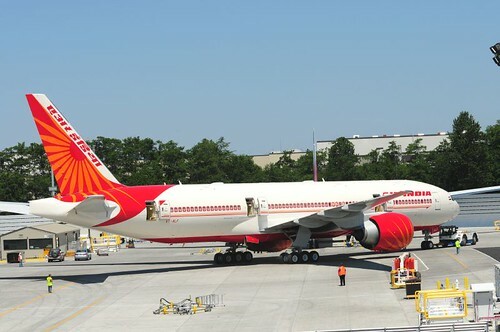 HYD - capacity reduced from 5 weekly B 772ERs to 5 weekly B 763ERs. BOM - capacity reduced from daily B 744 + daily B 772ERs to double daily B 772ERs only. 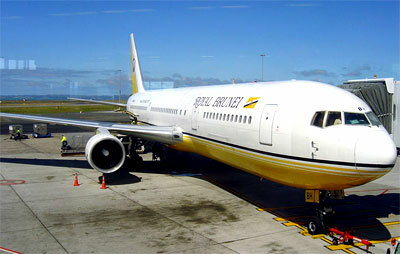 Etihad Airways has officially announced that it will restarting flights to CMB-Colombo from January 1st 2010. EY will be using an A 320 to fly this route nonstop from AUH four times per week. It has timed its flight to perfectly connect with LHR/JFK/ORD/YYZ via AUH in both directions thus giving a big boost to the load factors of these long haul flights. Etihad will now be the fastest airline to fly from JFK/ORD and YYZ to CMB and vice versa. With a lower pricing structure in place and better connections via AUH in both directions (2 hour transit only both ways versus EK's 8 hours o/b and 3 hours i/b), they will be poaching a lot of EK's market share out of Toronto especially. KWI - capacity increased from daily A 333 to daily A 346 from April 15th due to higher demand for its premium cabin seats. YYZ - capacity reduced from daily A 346 to 6 weekly A 343 + weekly A 346. CAI - frequencies increased to double daily nonstop flights using an A 343. ADD - frequencies increased from 4 to 5 flights per week using an A 343. MCO - frequencies increased from 5 weekly A 333s to daily nonstop flights using an A 333. Total flying time with transit at JFK for the DEL JFK IAD flight is 19 hours 30 mins. Total flying time with transit at JFK for the IAD JFK DEL flight is 18 hours. **FYI, it is faster to fly British Airways from IAD to DEL via LHR which including the transit at LHR is 16 hours 40 minutes!!! 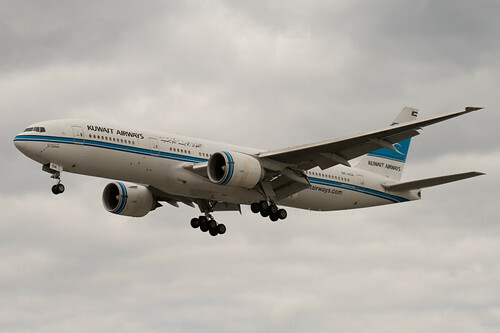 Kuwait Airways has officially revealed on the GDS that it will be adjusting capacity to New York JFK for the IATA Winter 09-10 season by deploying the Boeing 777-200ER on all of its 6 weekly flights i.e. 3 flown nonstop from KWI and 3 via LHR with full 5th freedom traffic flights. 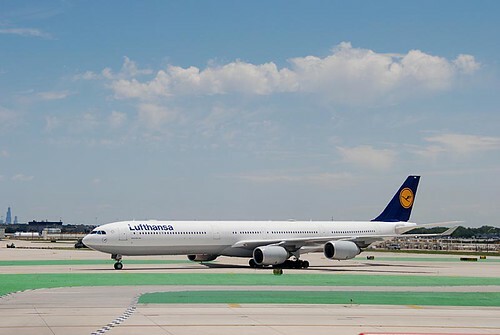 Originally, the 3 weekly flights flown via LHR were to be operated with an A 340-300. It is worth mentioning that KU's B 772ERs have a far superior in-flight product in terms of cabin comfort and quality of in-flight entertainment versus their A 343 fleet. Turkish Airlines has officially confirmed that it will be increasing frequencies to KIX-Osaka, Japan from the on set of the IATA Summer 2010 season i.e. from March 29th 2010. Currently, flights are flown 3 times per week nonstop using an A 332, however it will be increased with an additional 4th weekly flight using the same aircraft type. Gulf Air has revealed on the GDS that it will be reducing its frequencies to LHR-London Heathrow, UK from the onset of the IATA Summer 2010 timetable i.e. March 29th 2010. Currently, flights are flown on a triple daily basis nonstop using a mixture of A 343s and A 332s however, these will be reduced to double daily frequencies only from next year. The flight which is terminated is GF 003 and GF 005 which depart BAH at 1005 and LHR at 2025 respectively. GA too announced that it will be increasing flights to PVG-Shanghai from Oct 25th 2009 with the addition of a 3rd weekly flight flown nonstop from its JKT hub. An A 330-200 will be used for the all CGK-PVG-CGK flights. 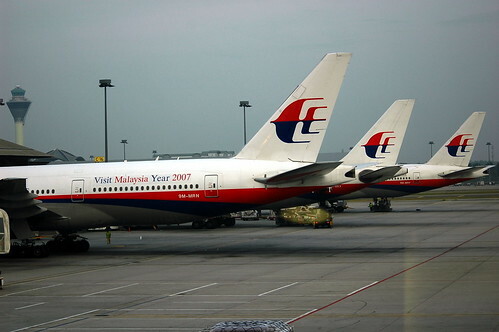 Malaysia Airlines has officially confirmed that it will be re-adjusting capacity to IST-Istanbul, Turkey from its KUL hub from 27th Oct 2009 by flying the route nonstop 3 times per week rather than via Dubai with 5th freedom traffic rights. MH will deploy the Boeing 777-200ER for this nonstop flight and the aircraft will be stationed at IST airport for 9 hours before heading back to KUL. Lastly, MH has confirmed that the first 3 destinations that will be getting its A 380s are Amsterdam, London Heathrow and Sydney. The carrier has ordered a total of 6 A 380s and it seems that all 6 will be only used for these 3 cities only. Emirates CEO has officially confirmed that the airline has totally written off ordering the passenger version of the Boeing 747-800 and instead wants to focus on building its A 380 passenger fleet as the exclusive VLA in its fleet. In addition, EK is pressing Boeing to improve the payload range of its Boeing 777-300ER to allow the aircraft to fly to LAX nonstop from its DXB hub base with a full payload of passengers + cargo. Lastly, EK has announced that it will be increasing its flights to MNL-Manila from Dec 1st 09 onwards from the current 12 weekly to double daily nonstop using a 2 class Boeing 777-300ER for both of the double daily flights. According to available data, the Airbus A 350-1000X will be able to perform DXB-LAX with a full payload matching the B 773ER. EK has already ordered 20 A 351s which is an ideal aircraft from all aspects to fully replace any airline's B 773ER fleet. It is therefore advisable to Boeing that in order to remain competitive with a modern product, it should now focus on the B 787 and abandon making any further improvements to its B 777 product line which is now 17 years old and had a good life span. The direct competitor from a technological stand point to the A 350 is the B 787 and not the B 777. If Boeing ignore this, then what Airbus did to them in the 1990s by getting airlines to order the A 330s in large number versus the outdated B 767-300ER/400ER will happen once again. Boeing needs to focus its efforts on two products for the next 10 years i.e. the B 787 family and a more advanced B 737 replacement. There needs to be a stretched Boeing 787 called the -400 which should be a direct replacement for the B 773ER but with the range of the B 772LR. This aircraft would be a world beater and can be a big success as airlines in 7-8 years time would definitely order it to replace their fleet of B 773ERs in time for a 2019-21 delivery period. Airlines that would potentially order this aircraft in bulk would be EK/CX/JL/ANA/SQ/AF/BA/KL/TK/EY/QR/VA/AC/KE/OZ/TG. NRT - frequencies increased from 6 weekly to daily nonstop flights using a B 772ER. EBL - frequencies increased from 5 weekly to daily flights. TLV - capacity increased from double daily A 321s to double daily B 763ERs. DAM - frequencies increased from daily to 10 times per week using an A 320. CAI - capacity increased from daily A 319 to daily A 321. AMM - frequencies increased from 3 to 6 times per week using an A 320. TSE - frequencies increased from 3 to 4 times per week using an A 320. YYZ - will maintain daily nonstop flights using a B 763ER. Delta Airlines has revealed on the GDS that it will be reducing flights on its flagship trans-atlantic route i.e. Atlanta-Paris for the Summer 2010 IATA season. Currently, DL operates triple daily nonstop flights on the ATL-CDG sector using a B 77L daily + double daily B 763ERs. 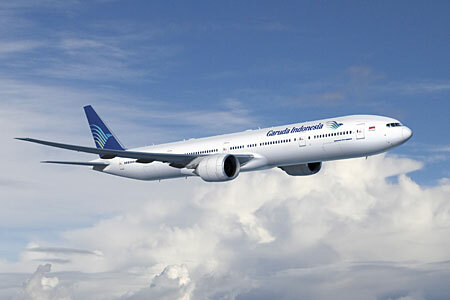 However, for next summer, only double daily nonstop flights will be operated using a Boeing 767-300ER. KLM has officially confirmed that for the entire IATA Winter 09-10 season, it will be reducing its flights to GRU-Sao Paulo, Brazil. Currently, it flies the route on a daily basis nonstop using a B 777-200ER however that will be reduced to 6 times per week nonstop using a B 773ER three times per week + a B 772ER three times per week each respectively. THR - frequencies increased from 5 to 6 weekly nonstop flights using a MD11. DXB - frequencies reduced from 12 to 10 weekly nonstop flights using a B 772ER. SIN - capacity increased from daily B 772ERs to 3 weekly B 773ERs + 4 weekly B 772ERs. SFO - capacity reduced from daily B 744s to 4 weekly B 773ERs + 3 weekly B 772ERs. Royal Brunei has officially confirmed that it will be increasing its flights to JED-Jeddah, Saudi Arabia from Oct 27th 09 onwards from the current twice weekly to 5 times per week nonstop using a Boeing 767-300ER. BI is a popular choice for the Hajj pilgrimage with agents from Hong Kong and Philippines due to its low fares. Air Asia X of Malaysia has been officially granted the authority by the French Govt to fly to Paris Orly Airport from 2010 onwards. The carrier is now examining the possibility of either launching the route to be flown nonstop from KUL using an A 343 or via Sharjah with full 5th freedom rights using its new fleet of Airbus A 330-300s.